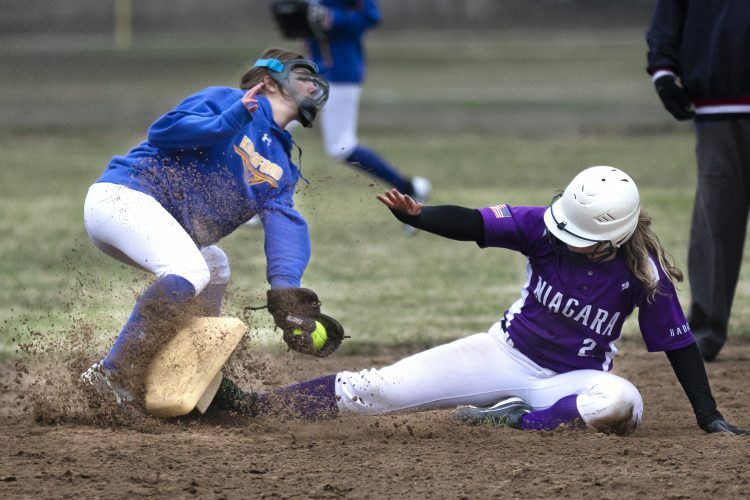 IRON MOUNTAIN — Iron Mountain stormed past Negaunee and into the postseason Tuesday. 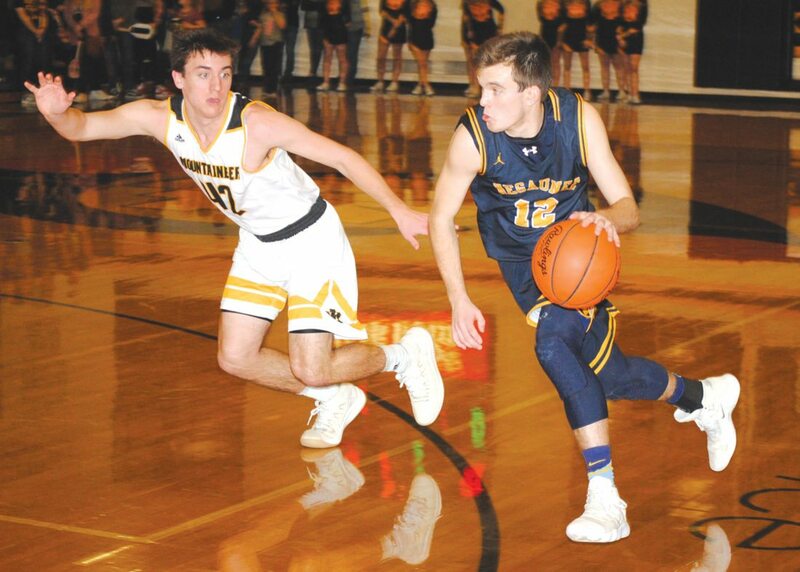 The once-beaten Mountaineers, running out to a double-digit lead in the first quarter and scoring 18 unanswered points in the second quarter, subdued Negaunee 71-40 in Mid-Peninsula Conference boys basketball. Freshman Foster Wonders, who netted four of the Mountaineers’ 11 triples, scored a game-high 22 points. Iron Mountain, which has secured the MPC title, rolled into halftime with a 36-8 cushion. Junior Jaden Vicenzi tacked on 13 points. Junior Charlie Gerhard had 10 points and 10 of the Mountaineers’ 24 rebounds. Sophomore guard Marcus Johnson had 10 points with 11 assists. Iron Mountain (19-1, 9-1) connected on 28 of 48 field goals for a 58 percent shooting mark. Assists were credited on 24 of the 28 buckets. When the Mountaineers weren’t hitting from the outside, they were crashing inside. 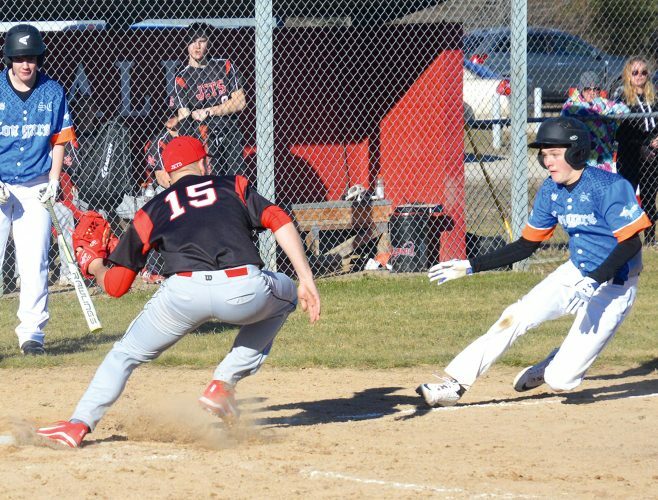 That was a concern for Waterman on Tuesday and looking ahead to the Class C district opener Wednesday with Westwood. Sophomore Jason Waterman led the Miners (8-12, 6-6) with 19 points. The coach did come away with a “small moral victory” when his team outscored the Mountaineers 16-12 in the third quarter. The Mountaineers posted five steals and maintained their season single-digit turnover average with four. “Our (man) defense was fantastic,” Johnson said. “We ran the floor and the kids rebounded the ball. Everybody got to play and it was nice to see those seniors who don’t get much playing time out there. 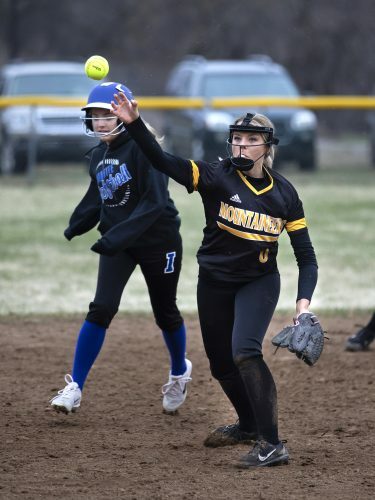 Iron Mountain hosts Norway on Wednesday to begin Class C District 94 play. All three of Iron Mountain’s teams won MPC championships. The junior varsity closed out the season by beating Negaunee 54-44 and the freshmen prevailed 64-44. Gio Basanese led the jayvees with 17 points while Colin Visintainer added 14 and Jake Dumais had 10. NEGAUNEE (40): Sager 4, Ennett 4, Waterman 19, Skewis 2, Mattson 2, Hill 5, Kumpula 2, Dupont 2. FT: 6-6. F: 9 3PT: Waterman, Hill. IRON MOUNTAIN (71): Johnson 10, Wonders 22, Vicenzi 13, Gerhard 12, Feira 4, Tucker 3, Celello 3, Geronimi 1, Diercks 3. FT: 4-6. F: 10. 3PT: Johnson, Wonders 4, Vicenzi 3, Tucker, Celello, Diercks. FG: 28-48. Rebounds: 24 (Gerhard 10).